Moto Z2 Play is the first Z-series smartphone from the company this year which is the successor of last year’s Moto Z Play that was a battery beast. The Z2 Play boasts a 5.5-inch Full HD Display, Snapdragon 626 processor, 4GB RAM, 64GB ROM, 12MP rear and 5MP front-facing camera. There is a smaller battery than the Z-Play which is 3,000mAh, and this is because the phone is slimmer than the Z Play of last year. Anyways, we know that it comes with Android 7.1.1 Nougat out of the box with stock-ish Android experience. But, the story is pretty different in China. 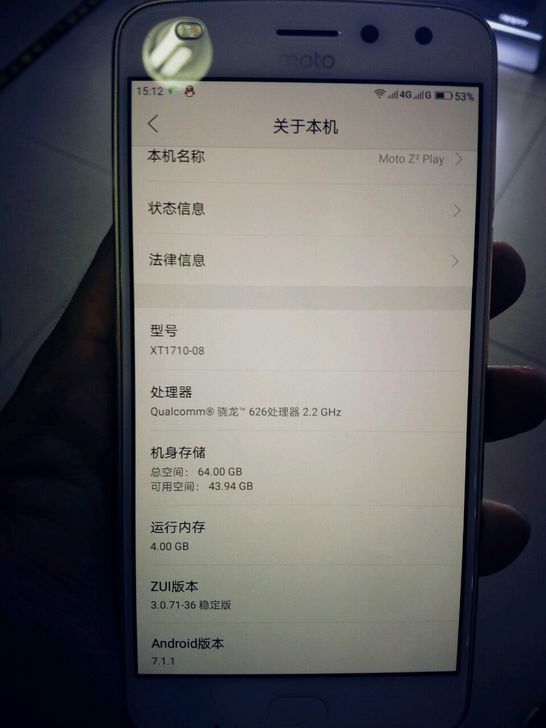 Today, we got to know via Weibo that the Chinese version of the Moto Z2 Play comes with the ZUI 3.0 out of the box. Anyways, we know that it comes with Android 7.1.1 Nougat out of the box with stock-ish Android experience. But, the story is pretty different in China. 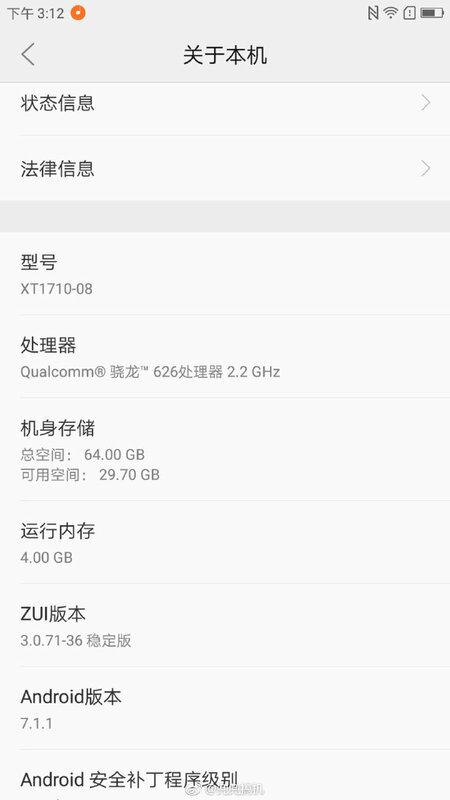 Today, we got to know via Weibo that the Chinese version of the Moto Z2 Play comes with the ZUI 3.0 out of the box. Back in April, we heard the news that Lenovo is going to shut down ZUK brand and the ZUI will be there on the next Moto devices. And it seems like it’s true. There is no official statement regarding the shutting down of ZUK brand, but it is now confirmed that the Moto Z2 Play comes with ZUK’s ZUI 3.0 out of the box in China. 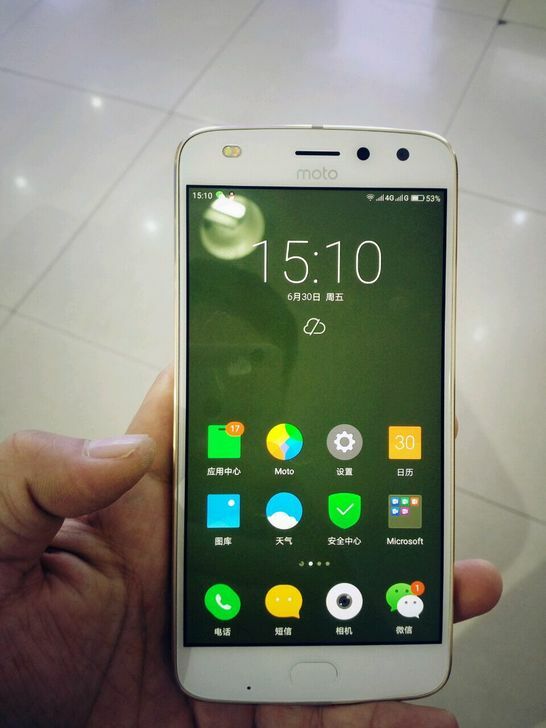 So, seems like the next Moto devices will be launched with the ZUI running out of the box in China. There is no information whether Lenovo is going to do the same for the global market, but if it does so, it is not going to be a good step. It is better to keep the ZUI in Moto phones in Chinese market only as users in China don’t prefer the Stock Android. That’s the reason every Chinese brand has its custom skin that it uses over Android OS. So, what are your views on this? Do let us know via the comments section.